First- Happy Birthday to my BFF EDB. I love her so much and just had to give her a little blog love! I did pretty well this week at Publix. I spent $85.24 and saved $49.56! Making my own organic bread and waffles makes THE biggest difference in our weekly grocery bill! We’re saving around $13 a week. This is almost everything I bought at Publix this week… I left out a 32 oz Powerade that I had a FREE coupon for (DONATE) and I also left out a 10oz box of raisens. I had a doctor’s appointment today, and Hoke literally almost ate all 10 ounces of raisens while we were there… don’t judge… I pick my battles! 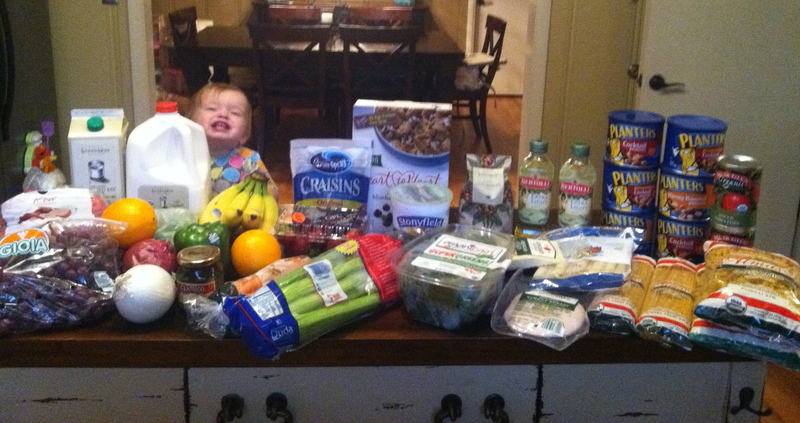 Here is the list of everything I bought… SPENT $85.24 and SAVED $49.56! My best deals of the day are in red. *Of course I used my $5 off of a $30 purchase that I receive in the mail each week. Bertolli Olive Oil- $6.99. On sale buy one get 1. I bought 2. $6.99 for 2 or $3.49 each. Alma Organic Fusilli Pasta– $1.99 each. On sale Buy 1 get 1. I bought 2. $1.99 for 2 or $1 each. Alma Organic Angel Hair Pasta– $1.99 each. On sale Buy 1 get 1. I bought 2. $1.99 for 2 or $1 each. Classic Basil Pesto– $2.99 each. On sale Buy 1 get 1. I bought 1. $1.50. Planters 12 oz. salted peanuts– $3.89 each. On sale Buy 1 get 1. I bought 6 and used (3) $1.50/2 coupons. $0.70 each!! Muir Glen Organic diced tomatoes & Muir Glen Organic tomato sauce. – Originally $1.69 each. On sale for $1.34 each. I used (2) $1/1 Publix Coupons and (1) $1/2 Manufacturer’s coupon. These cost me only $0.19 a can!! 1 red onion- on sale for $1.29/lb. I saved $0.15. My onion cost $0.97. My kids LOVE macaroni and cheese. 1 box used as a side dish will usually last 2 meals for my girls. This week our organic mac and cheese is $1 a box at Kroger. I didn’t have any Annie’s coupons, but it was still worth running in the store to pick up a few boxes! 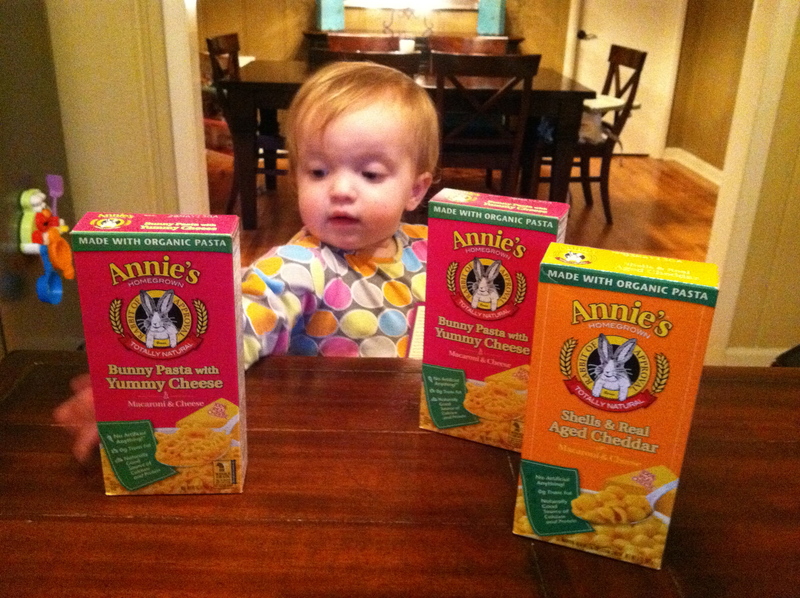 Annie’s Organic Mac and Cheese (several varieties) only $1 with card. ← Beauty Product deal….$35 value… you pay $2! !